In 2015, the Better Housing Coalition became a member of the NeighborWorks network, a national, nonpartisan, nonprofit leader in affordable housing and community development. 40 years ago, NeighborWorks America was formed by congressional charter. Since then, NeighborWorks has worked diligently to create opportunities for people to live in affordable homes; improve their lives; and strengthen their communities. Sound familiar? We hope so! It accomplishes this mission through a network of nearly 250 nonprofit organizations (like BHC) in all 50 states, Washington, DC and Puerto Rico. Watch this 2-minute video to see how NeighborWorks members strengthen their communities across the USA. Four times a year, NeighborWorks holds week-long training institutes for its members at sites across the country. 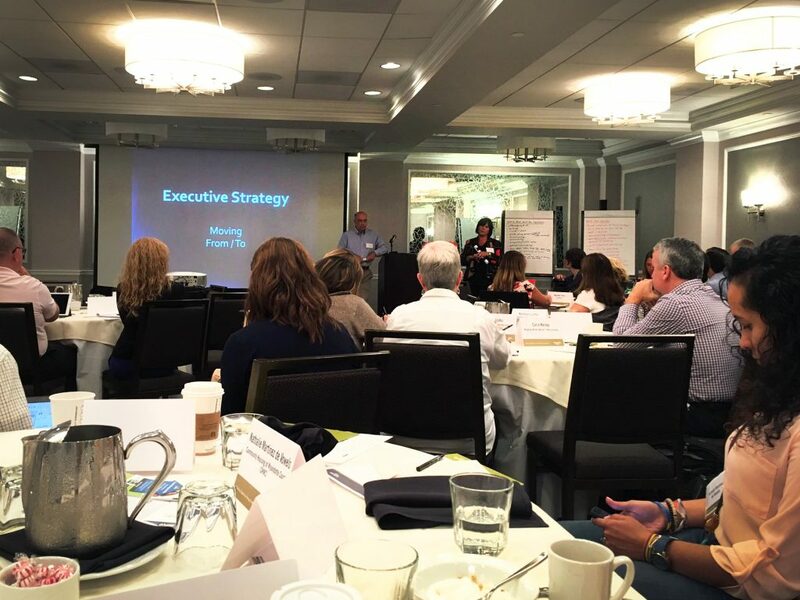 They also convene professionals for shorter sessions, to dig deeper in their areas of expertise (such as last September’s communications convening pictured here). To date, 15 BHC employees at all levels of the company have taken expert-led classes valued at $9,000 on topics such as financial management, community engagement, asset management, leadership, marketing, fundraising, property management and human resources. That number represents 20% of our staff. To encourage participation by its nonprofit members, NeighborWorks reimburses a portion of the costs. We’re applying what we’ve learned to make our organization – and our community – more sustainable. Every spring when Congress is in session, NeighborWorks leverages the power of its 245-member network to advocate for affordable housing legislation in their districts by organizing legislative days with congressional representatives in Washington, DC. 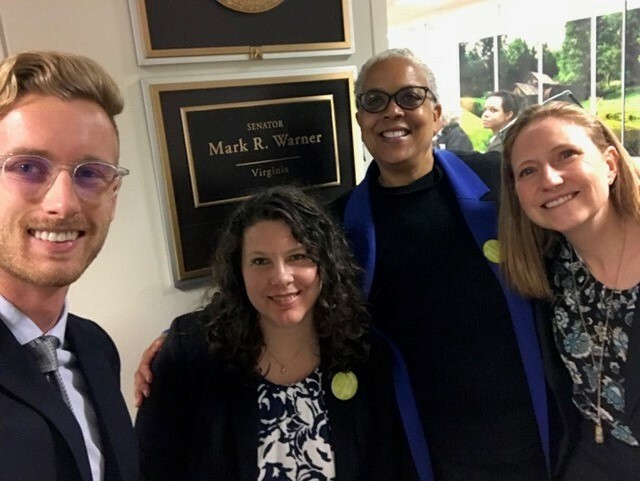 In this photo, Kate Noon and Greta Harris from BHC (center) meet at Senator Mark Warner’s office in March 2018 with staff from fellow NeighborWorks member CHP of Roanoke. With our fellow members, our voices are stronger because they’re united. When we joined NeighborWorks, we automatically got access to 244 other community development organizations from across the USA who welcome the opportunity to share ideas and learn from each other. 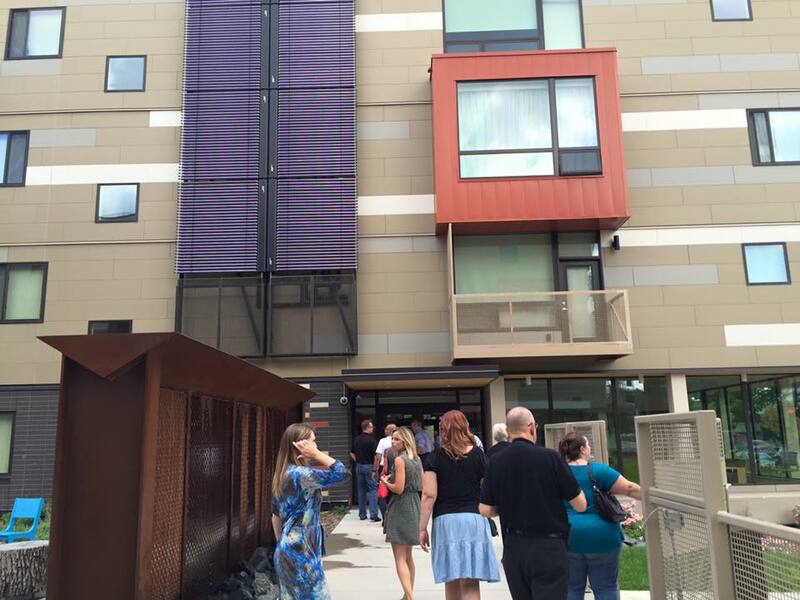 In August 2016, BHC’s leadership team traveled to Minneapolis to learn from innovative NeighborWorks members like Aeon, pictured here. Aeon owns and manages 45 affordable rental communities, compared to BHC’s 15 (soon to be 16). NeighborWorks members work smarter, together. NeighborWorks’ communications and public relations team spreads the word of its members’ work by lifting member stories to wider audiences. 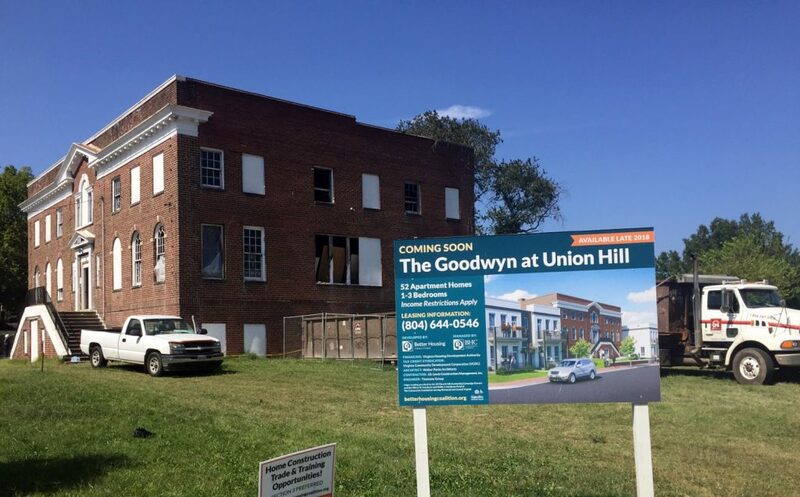 As examples, NeighborWorks connected BHC with Affordable Housing News magazine in October 2017 to feature our adaptive reuse of an historic building at The Goodwyn at Union Hill, our multi-family property under construction. 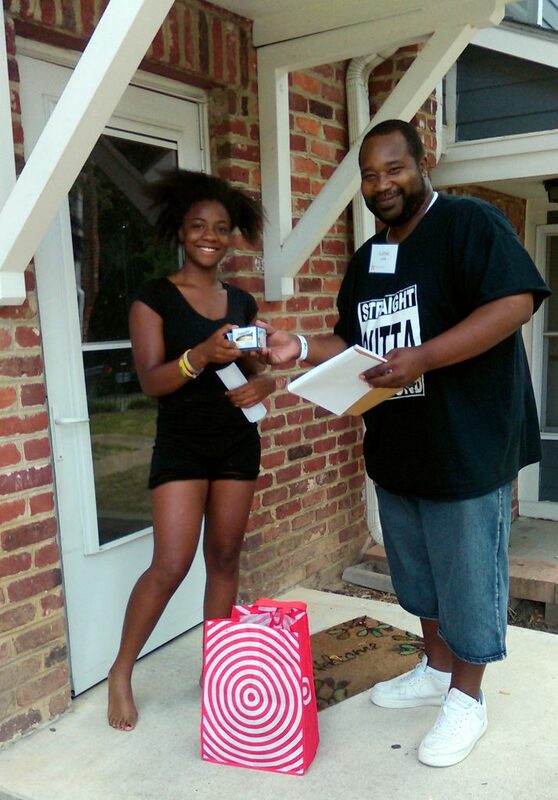 Last November, NeighborWorks featured BHC’s smoke-free initiative on their blog. This month, BHC’s president & CEO Greta Harris is featured on the NeighborWorks blog as part of Women’s History Month. NeighborWorks connects its members to national audiences. $7,000 to organize residents from our North Oak and Lincoln Mews communities in a survey of their North Richmond neighbors on quality of life (pictured). The results of that survey fed into a national report about neighborhood satisfaction, coordinated by NeighborWorks. NeighborWorks helps us do more of our work, better. 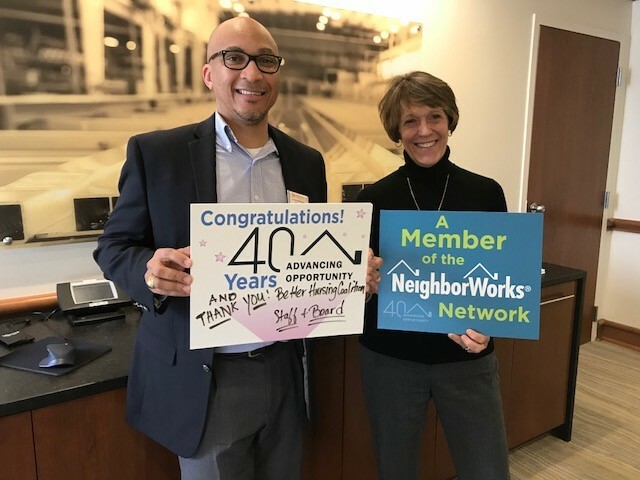 We are grateful to NeighborWorks for their hard work and service on behalf of its members across the nation, and salute them on their 40th anniversary.